The WP Robot plugin developer has changed the discount code to a flat rate 25% discount before tax. 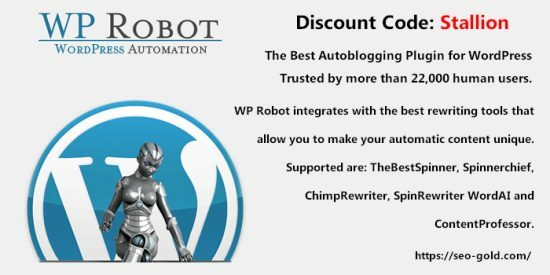 This is available via ALL WP Robot affiliates, so no point scouring coupon sites for better WP Robot plugin discount codes, 25% is the ONLY discount available. One of my WordPress SEO Theme customers asked about WP Robot by email and at first I assumed it was another poorly thought out autoblog WordPress plugin, I’ve checked out a LOT of autoblog plugins over the years, most aren’t very good, but WP Robot looked interesting. The plugin has a LOT of modules that cover different affiliate programs (I like the Amazon and Shareasale modules) and sources of content (some I’d not heard of before checking the plugin out) and I have to admit when you consider the cost of buying content online (even at 1 cent a word for really low quality content from foreign writers from places like Digital Point Forum) it’s a real bargain at under $120 for the full WP Robot Elite plugin package: includes all 20+ modules that individually sell for $250: use the WP Robot coupon (Stallion) for the discount! You couldn’t buy the content to create a 50 article site for that small amount of money and with WPRobot a site with 50 articles with respun content can be generated in minutes. You can buy WP Robot through my affiliate link, I also have a WP Robot discount code: Stallion that gives a 25% discount off the WP Robot Elite (add STALLION to the coupon form when you go to the checkout and pay under $100 not including tax). In the past I’ve made a lot of sales from Amazon stores (AKA Amazon thin affiliate sites) so the WP Robot plugins Amazon module is VERY interesting. Sold over $400,000 worth of Amazon stock and though today it’s not as easy to make money from organic search engine traffic and thin affiliate sites (Google hates them) it was worth looking into WP Robot especially if the WordPress plugin was well thought out as it might link in with what I was talking about in my article Making Money Online with Thin Affiliate Sites. Be careful with nulled WordPress plugins like WP Robot, it’s easy for a hacker to add malicious code. Installed WP Robot on my work PC (offline) with no major problems and after not getting it working correctly because I never read instructions unless I absolutely have to, I eventually added some basic affiliate details (Amazon ID, Amazon API key and secret question) I got it working and was immediately impressed. I used to use an SEO customized Amazon PHP script to create thin Amazon affiliate stores and what WPRobot created in combination with WordPress and my WordPress SEO theme (Stallion Responsive) was FAR better: I’d have made a killing with this 5 years ago before Google cracked down on thin affiliate sites:-(. I was very impressed so purchased the full Elite version of WP Robot which comes with all the modules. I’ve still not fully tested WPRobot, mainly because there’s so many modules (it’s amazing how much you get) and eBay and Shopzilla declined my first affiliate program application (didn’t bother reapplying, plenty of modules still to work with) plus some of the modules I’d never use! Amazon WP Robot Module : Very, very good in own right + very good for adding extra affiliate content to other modules. In the WPRobot autoblogs I’ve created since buying this plugin, most are Amazon based. Article WP Robot Module : Very good in own right. eBay WP Robot Module : Not tried fully as eBay refused my affiliate application!!! Could be useful for adding extra affiliate content to other modules. Clickbank WP Robot Module : Good for adding extra affiliate content to other modules. Yahoo Answers WP Robot Module : Very good in own right. YouTube WP Robot Module : Very, very good in own right + good for adding extra video content to other modules. Translation WP Robot Module : Not tried yet, but looks awesome as could convert thin affiliate content to almost unique content making it harder for search engines to downgrade your autoblog. Flickr Image WP Robot Module : Very good in own right + good for adding extra image content to other modules. Yahoo News WP Robot Module : Good for adding extra content to other modules. RSS WP Robot Module : Not tried yet, but looks very good, though I don’t like stealing other peoples content, so probably won’t use this much. Commission Junction WP Robot Module : Good for adding extra affiliate content to other modules. 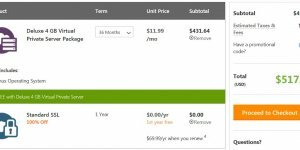 Oodle WP Robot Module : OK, but not a module I’ll use as getting an affiliate account is hard (so far not used it on a live site). Shopzilla WP Robot Module : Not Tried as Shopzilla refused my affiliate application!!! I do want to try this module as looks interesting. Press Release WP Robot Module : Very good in own right. Twitter WP Robot Module : OK for adding content to other modules, but Twitter is so abused and at 280 character, not useful to me (so far not used it on a live site). Linkshare WP Robot Module : Good for adding extra affiliate content to other modules. Eventful WP Robot Module : OK in own right, but there’s no affiliate program and unless you have an events site I can’t see where I’d use this to add content to other modules. iTunes WP Robot Module : Good for adding extra content to other modules, especially for the YouTube module. Unfortunately not linked to an affiliate program which is a real shame. 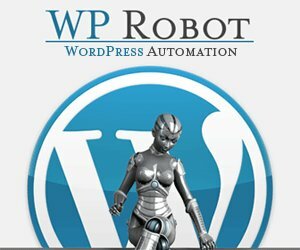 ShareAsale WP Robot Module : This is awesome, I’ve been using another WordPress import plugin for importing ShareAsale datafeeds into WordPress, now I can create this type of affiliate site using WPRobot with the addition of other modules to make the content more unique!!! Yelp WP Robot Module : Not tested. Avantlink WP Robot Module : Not tested. PLR WP Robot Module : Not tested. Article Builder WP Robot Module : Not tested. Big Content Search WP Robot Module : Not tested. Vimeo WP Robot Module for posting high quality videos : Not tested. PhotoBucket WP Robot Module for photos and images : Not tested. Bing News WP Robot Module for posting current news : Not tested. Tradedoubler WP Robot Module for affiliate products : Not tested. Etsy WP Robot Module for posting handmade products : Not tested. Indeed WP Robot Module for job listings : Not tested. Zanox WP Robot Module another popular affiliate network : Not tested. Expedia WP Robot Module for posting hotel listings : Not tested. Prosperent WP Robot Module for affiliate marketing deals : Not tested. Main Module + three other modules for extra content. For example: Amazon main content (which usually comes with comments, yes WP Robot creates comments**! ), YouTube Video, Yahoo answers and Linkshare. ** The WP Robot modules Amazon, YouTube and Flickr can grab the comments related to the content and post it as comments on your autoblog (awesome feature). On the sites I’ve created so far I’ve setup six campaigns on each site with the main content being Amazon, Shareasale, Article, Press Release, YouTube, Yahoo Answers and Flickr and then a mixture of three of these WPRobot modules: Amazon, YouTube, Yahoo Answers, Flickr, iTunes, Clickbank, Linkshare and Commission Junction. Each sites campaigns are pretty much the same setup, just with different keywords so different content is grabbed. Those sites should need no major input from me other than adding links so they gain traffic through SEO means: I don’t plan to do much link building as expect the sites downgraded in Google long term (autoblogs tend to last a year). I have the campaigns set to post roughly 6 posts a day, so a year from now each site will have over 1,000 posts each (I turn off new posts at that point). I could have it running much faster (one post an hour for example), but I want sites that grow slowly so search engines index most posts. The a screenshot shows a basic WP Robot campaign with only the Amazon module used. The above is just Amazon, you can mix the content from multiple modules. When installing WP Robot make sure you rename the WPRobot folder, by default it’s /wprobot3/, and is located at /wp-content/plugins/wprobot3/ this is an obvious autoblog footprint search engines can easily find. Rename the folder from /wprobot3/ to something unique like /myplugin/ and the folder will be /wp-content/plugins/myplugin/ (no autoblog footprint). Make sure you rename the folder BEFORE activating WPRobot and before creating any posts. When you look at the average Amazon affiliate page created by any Amazon affiliate script they’ll tend to have the Amazon thumbnail image linked to the Amazon affiliate sales page, the buy link/image linked to the Amazon sales page and possibly related products linked directly to their Amazon sales pages! You might have half a dozen plus Amazon affiliate links from every page, which from a sales perspective makes sense (more ways to get your visitor to Amazon where you make money). However, from an SEO perspective all those affiliate links either leak or destroy PR/link benefit (if you use nofollow links it destroys the PR/link benefit!). Since by default WP Robot nofollows affiliate links it’s a lot of deleted link benefit, plus a site filled with thousands of nofollow links and no dofollow links could be an affiliate site footprint. Based on my experience with thin affiliate sites it shouldn’t be too hard to create 50 autoblogs that make at least $50 a year each. That might not sound a lot (I’m being deliberately conservative), but do the maths. 50 sites cost about $500 a year in domain registration fees (can be much lower depending on the domain tld). Dedicated server $1,000 a year (can get much cheaper options). Total cost = ~$2,000 per year. If you can get a site to generate $50 a year, that’s $2,500 a year or ~$500 a year profit. WP Robot uses the nofollow attribute on most affiliate links and many of the autoblogs content links (some content scraped, like Flickr isn’t affiliate content). If you’ve kept up with Google’s search engine algorithm you’ll know Google no longer honors the nofollow attributes original intentions. Basically nofollow should protect a sites PR/link benefit, but it now DELETES it!!! This means we should avoid using nofollow as it damages our sites SEO (deleting link benefit is very bad). I’d rather send the PR/link benefit to an affiliate site than delete it through a nofollow link because we don’t know for sure how nofollow links affect a pages search engine rankings. WP Robot makes the mistake of having a lot of affiliate links off most pages it creates, it’s not unusual for this type of script to do this, but for an SEO consultant like myself it’s frustrating and I HAVE to remove them. The majority of the affiliate links are nofollow links as well which frustrates me further! Looking through the code of WP Robot 3.2 it’s relatively easy to fix the vast majority of the nofollow links at module level (these are actual PHP files, basically one file for every affiliate/content source) and WP Robot template files (these are templates set within the WP Robot control panel that anyone could edit). So for me (an experienced SEO consultant with PHP skills) I could fix the nofollow SEO mistake quite easily. It’s very easy to fix, all the module files are in the folder /modules/, these are the only files that need editing. You could easily run the files through a search and replace program (some text editors have this option) and replace/delete all instances of rel=”nofollow” in under a minute. I went old school and loaded all the module files in a text editor and searched for rel=”nofollow” and deleted them all. 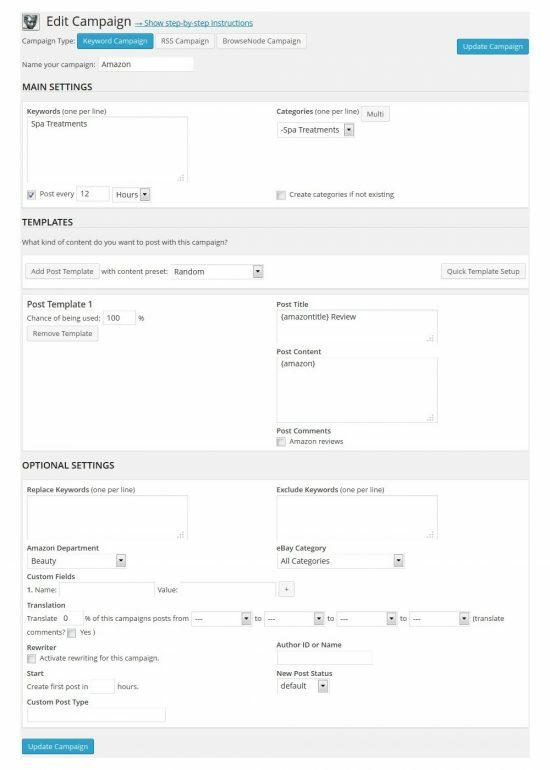 After that I loaded WP Robots control panel through the WordPress Dashboard and under WP Robot Templates Look through the WP Robot templates for rel=”nofollow” and delete them all as well. In all it took less than 5 minutes to remove the main rel=”nofollow” links. This doesn’t remove them all, but gets the vast majority of them. I haven’t completely checked every module yet (to an extent of creating a post with them all, (there’s 20+ modules! ), but so far the difficult one is the Flickr module. With the Flickr module you can remove the main nofollow attributes (they are on the attribution links, so not even affiliate links), but some deeper content has nofollow attributes added at source, which is a bit weird (a little PHP coding can easily remove them though). Just removing the nofollow attributes doesn’t protect the sites link benefit, all that happens now is the link benefit is sent out to places like Amazon, so you are no better off in PR/link benefit terms than before, though you at least know the anchor text of the links will be given the sort of SEO benefit you expect anchor text to have (anchor text of out going links is important SEO wise). It’s not if an autoblog will be downgraded, it’s when. With this in mind I would never use autoblog software on an important website, it’s not worth the risk to the trustworthiness of the domain. If you’ve read my Making Money Online with Thin Affiliate Sites article you’ll see it could be worthwhile owning websites that have been downgraded by Google despite their lack of decent rankings. Update: for my WordPress SEO theme users, there’s a WPRobot addon built in that deals with the nofollow links without having to edit any of the WPRobot module files. I am an entrepreneur putting up a health newspaper that will aggregate health articles from selected sites–probably 20 – 50. How many aggregated sites can I have the developer put into WP Robot? I read someplace it was 12 places on top of the ones on the modules. I hope that’s not true. I am going to get the RSS module; but we need the functionality, too, to format the aggregated articles the way we want them, not the way they appear in the RSS feed. WP Robot Tutorial Content Creation? How does WP Robot generate the content and where does it get its content from? It was not explained on the WP Robot web site tutorial or video! Have you made any money using WP Robot? I am thinking of purchasing the full version to use on my new Talian theme web site. WP Robot Tutorial : How Does the WPRobot Autoblog Plugin Work? The WP Robot plugin scrapes the content from a variety of sources (see the list of WP Robot modules). Basically if you are creating a post with a starting point of the Amazon module it takes a single Amazon product and creates a post promoting that product from the Amazon API feed (basically the same content found at Amazon.com). WP Robot will also take customer Amazon reviews and post them to the Amazon product post as comments. YouTube same concept, takes a YouTube video and embeds it into a post and takes user comments from YouTube and posts them as comments to that video post on your site. Made a small amount of money from the sites I’ve made so far, I only just made them and they are all on unimportant domains (none of them are going to rank fast as they don’t have many/any links), so will take time to make money. BTW I wouldn’t recommend using any auto content generation software (like WPRobot) on any domains you care a lot about as it’s only a matter of time before Google downgrades the SERPs the auto generated content and if you are unlucky any content you’ve spent years creating! Basically if it’s an important domain always stick with unique content, it’s not worth the risk. There’s a term “throw away domains” that comes to mind when talking about autoblogs etc… : create an auto generated site, hope it does well for a while and when it’s downgraded forget about it and build a new one. You can buy WP Robot through my affiliate link with the WP Robot Discount Code: Stallion that gives a 25% discount. stay away is all i can advice. my site was pr3 and not an ounce of spam. had it for 2 years and it was clean. then i added wp robot at the beginning of may 2011… bu may 24, my site was removed from google entirely. no links, no indexes, no cache.. flat out completely delisted/banned by Google… not even the domain itself can be found. this is ALL because of wp robot. if you ever want to use wp robot, be very wary of that. $1000 Profit a Year from Autoblogging? Don’t get me wrong: I like the positive approach but $1000 a year profits is really thin reward for creating 50 blogs which is a lot of work. I have built autoblogs and it does take days of configuring to get it fine tuned and tested. My making money with WP Robot autoblogs example was to show how little you need to make per autoblog: 15 cents a day from each of the 50 WP Robot auto blogs to make $1,000 profit a year. I wasn’t suggesting working your fingers to the bone generating autoblogs to only make $1,000 a year. Though that being said auto blogs are really easy to make, especially with WP Robot, with the right server setup etc… it would be easy to generate an autoblog in 15 minutes and in recent autoblog/SEO tests I’ve found you don’t even need a single backlink to get an autoblog indexed in Google! Setup 20 sub-domain WP Robot autoblogs on different domains (some of the domains have Google penalties and even Google banned BEFORE the autoblog testing) and the subdomains are Google indexed with or without backlinks (they have been indexed for months). Since these are on subdomains on domains I already own I didn’t even have any domain costs: this assumes I wouldn’t need to upgrade servers/hosting which I haven’t. The 20 sub-domains half have a single link to the home page the remaining 10 don’t and all are indexed in Google. Except one link on half of them (not high quality links either) have done no promotion (no link building, nothing) and as you’d expect they aren’t making much money. They are making the odd affiliate sale and ad click, so they are making money, not worthwhile to me, but with more promotion could be worthwhile. I tend to just do autoblog/SEO tests rather than actually try to make money with them. Enter Stallion at checkout and you’ll reduce the cost of WP Robot Elite to only $99. That’s a $151 saving compared to buying the various modules individually. Reasonably confident there are no bigger WP Robot discount codes available online. And coupon and promo derivatives. And checked out the top sites and didn’t find any with a higher coupon than 25%. For example on the top site for some SERPs there’s $40 discounts listed, but they don’t work. Still works with WP Robot 5 ?